All types of wood are beautiful, and wooden furniture made for the outdoors is not only attractive, but comfortable and durable as well. But, some people have their special preferences for the type of wood they want. Do you love the aromatic smell and natural resistance to weather and insects of Western red cedar or Northern white cedar? Does redwood outdoor furniture make you think of a memorable visit to the lush redwood forests that line the California coast? Are you a hickory nut? Well, you have come to the right place. 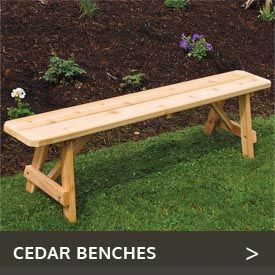 If you are looking for outdoor furniture made of a specific type of wood, Cedarwood Furniture makes it easy for you to choose outdoor wooden furniture by material. 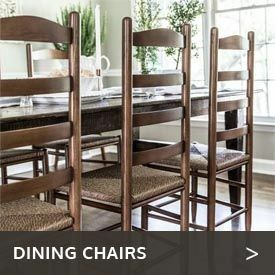 Simply click on one of the images below and you will discover an extraordinary collection of furniture made from the woods you love, whether they be red cedar, white cedar, redwood, pine or hickory. 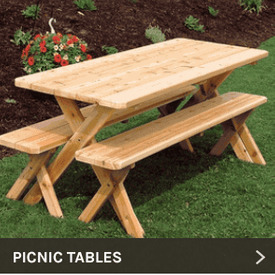 You will find every kind of furniture piece you can imagine here, from simple footstools to lavish outdoor dining sets.